What do you do when you have trouble relaxing on a rainy day by the lake? 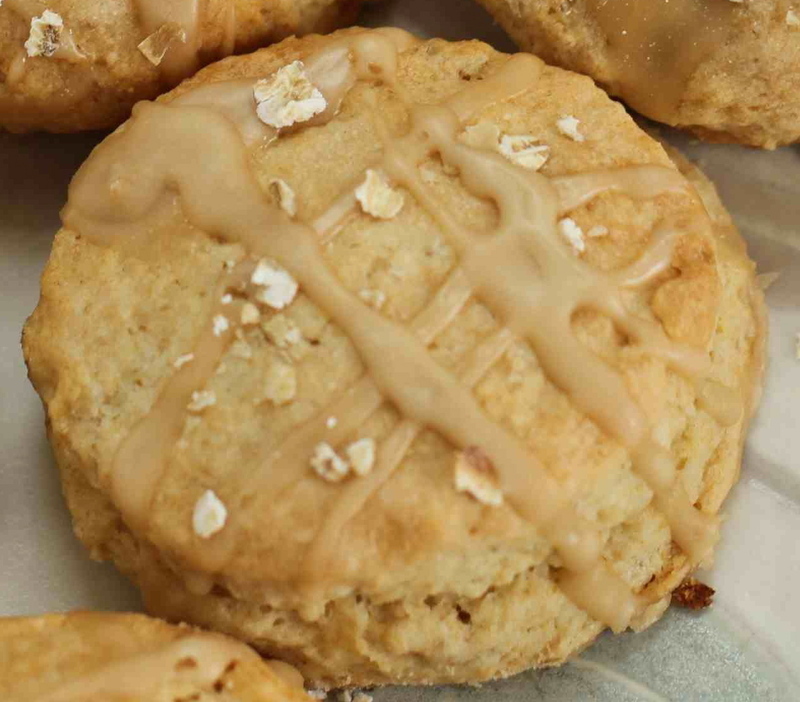 Imagine plates upon plates of these light, melt-in-your-mouth Maple Oatmeal Scones. I actually like them better without the drizzle of extra maple frosting sweetness; however, my husband and our good friend disagree…and since these were ultimately for them (with a few saved for select family members! ), well…all were glazed 🙂 I always add a few oatmeal flakes to help tasters know what they’re popping into their mouths. Although these scones are very, very easy to make and come together in minutes, the slightly sweet maple dough is one of the stickiest I’ve come across. It’s quite the adventure to roll out, unless you liberally flour your hands, the counter, and the rolling pin. I’d actually recommend sandwiching the dough in between cling wrap AND using ample amounts of flour. If it gets too sticky to actually work with (this is above and beyond what you would actually think of as sticky), pop it back into the fridge or freezer for a bit before trying again. Also, flour the cutter you’re using as well. I’m telling you…these Maple Oatmeal Scones are that gooey! These stay good for quite a few days, so no need to get up early before your brunch. Of course, between you, me and the lamppost, these scones go from a 10 to an 11 if you serve them warm the day of your event. My husband likes them best warm with a bit of jam, so have some handy for the table. In the bowl of an electric fitted with a paddle attachment, combine the flours, oats, baking powder, sugar and salt. Combine the buttermilk, maple syrup and eggs and add quickly to the flour-and-butter mixture. Mix until just blended. To make the glaze, combine the confectioners’ sugar, maple syrup and vanilla. When the scones are done, cool and then drizzle each glaze. This entry was posted in Brunch, Do Ahead and tagged Brunch, Make Ahead, maple, oatmeal, scone. Bookmark the permalink. I agree with your husband. Frosting = good. Maple = good. More of both = better.